By the halfway point of the decade, the atomic age was in full swing and what had been traditional horror was six feet under. 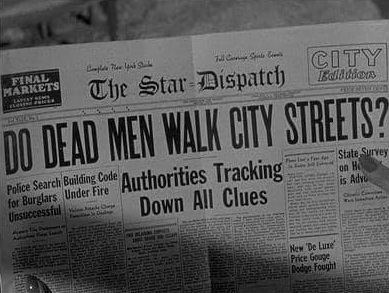 Vampires, werewolves and zombies were old hat and nuclear-fuelled monsters and alien invasions were what was connecting with audiences who still wanted to be scared, but Curt Siodmak had other ideas. 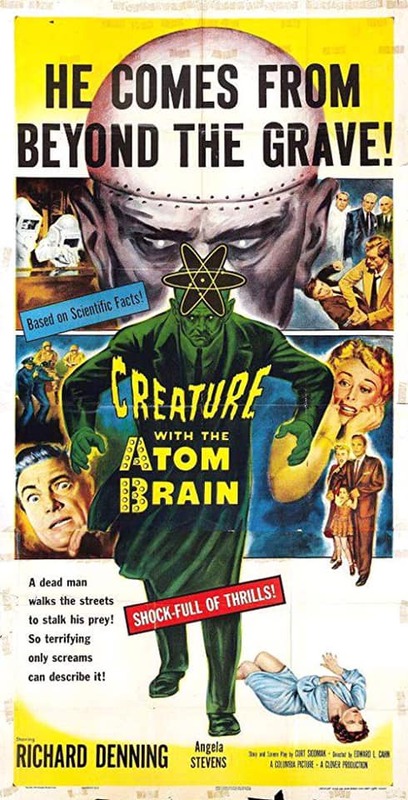 Creature With The Atom Brain might have been low in budget, but he ensured it was high in ideas, mixing zombies, gangsters, and mad nazi scientists, the Wolf Man scriptwriter came up with a glorious mash-up of genres that feels like several films sewn together by well, a mad nazi scientist. 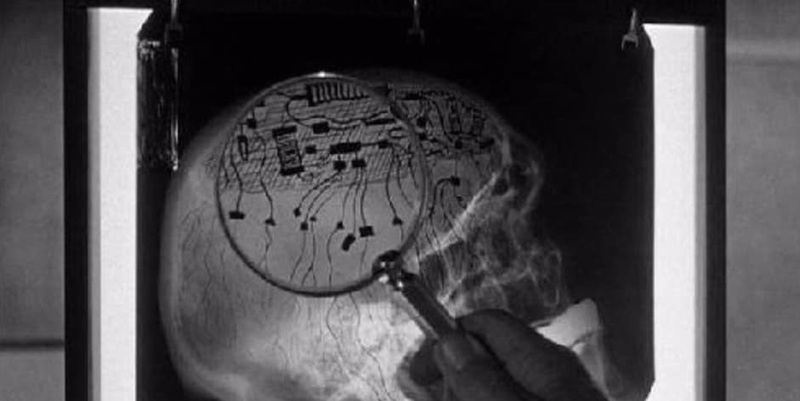 After being betrayed by members of his own gang, mob boss Frank Buchanan (Granger) flees to Europe where he meets scientist Wilhelm Steigg (Gaye), a former Nazi who has been working on a new technology to reanimate the dead as a controllable labour force. Buchanan funds the research and brings the scientist back to America, but fails to mention his real goal – to use Steigg’s zombies as the tools to wreak his revenge on his former gang. Imagine a gritty ‘40s gangster revenge flick crossed with an old-school zombie film, the kind where they were mindless slaves under the control of an arch-villain. Then add in atomic-powered, remote control brain implants. Right from the opening credits, these zombies are pitched as a real holy terror. Lumbering around with visible surgical scars, they’re very obviously dead, but have the extra unnatural touch of speaking in Buchanan’s voice through the remote control device implanted in their noggins. It’s a brilliant touch and adds to the gangland victims horror when they realise who is really about to brutally murder them. And it is brutal. These zombies are incredibly strong, capable of ripping car steering wheels with ease, or in the case of the film’s wonderful opening scene, picking up a victim and snapping their spine and neck like a twig. It’s only shown in shadow as Fred Jackman Jr.’s camera moves away from the action, but it’s done in one fluid movement and is all the more nasty for what director Edward L. Cahn leaves to your imagination. 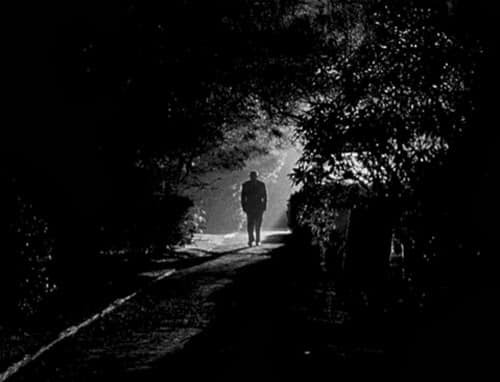 For all it’s modernism, it still feels very much like a zombie film though, only one that has substituted New York for Haiti, radiation for voodoo and a gritty mobster for the Murder Legendre-type figure. It’s very much of it’s time in other ways, with Walker coming home to a dutiful wife waiting to fix him a martini while he puts his feet up as she gets the dinner out, with only a cheeky slap on the arse by way of thanks. As the police doctor and established man Of the house Chet Walker, Richard Denning of Creature from the Black Lagoon fame is an appealing lead. Smart, resourceful and charming, he’s the ideal role for an actor like Denning who can hit the kind of dual beats of heroic and scientific that other films would need two characters for. Saying that, Walker and his cop buddies are weirdly rubbish at noticing when their former colleagues or even partners are now reanimated corpses, even though they move like Frankenstein’s Monster and speak in a different and decidedly robotic voice. The very current fears of radioactivity are used in a novel way too. Not with a giant dinosaur or creepy-crawly stomping about the place, but with the reanimated corpses being fuelled by it. There’s a wonderful scene where the paranoid Steigg hides in a bar from the mobile Geiger counter vans patrolling the streets (how Cold War paranoia is that? ), leaving both his seat and his hefty tip crackling with radiation. It’s a small thing, but it’s a reminder of the real-world fear that forms the spine to what is still quite an old-fashioned tale at heart. 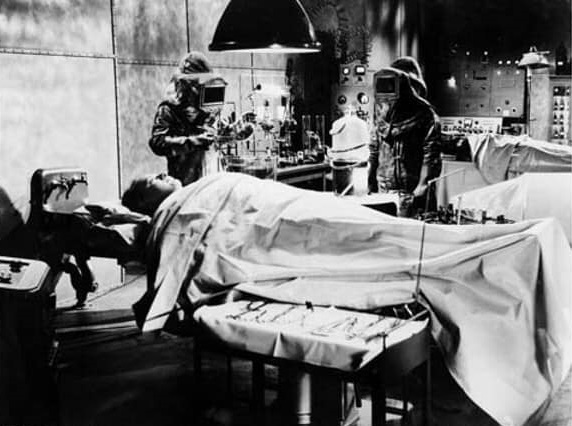 Creature With The Atom Brain is at once a film out of time and one that couldn’t be more 1955 if it tried. Nuclear-powered zombie gangsters. What more do you need?